Published 11th February 2019 at 233 × 400 in Dogs Looking for Homes. ‘Charlie’ 6 year old Male Cross Breed. Charlie came into us due to the owners domestic reasons. He is a lovely dog and listens to basic commands. 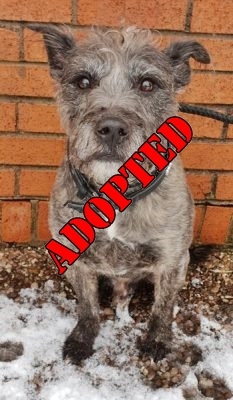 He will only be rehomed to a child free home as he is not used to children and can be protective over toys and food. He doesn’t tend to get on with other male dogs when first introduced but can become friends with time.